One of my Reiki students’ enthusiasm and dedication to Reiki practice are contagious, and she carries the practice with grace and professionalism. I was organizing the Reiki Room and a talk for the Cancer Wellness Expo when she asked for mentoring how to introduce Reiki at her corporate workplace. So even though she’d been practicing for barely six months, I invited her to offer Reiki chair treatment at the Cancer Wellness Expo. And she did! The Cancer Wellness Expo was a huge success and the Reiki Room was too. Participants rated their Reiki experience high among many valuable offerings, and asked for more next time. I wasn’t surprised. Reiki practice brings fast, tangible support, which is just what people addressing cancer need. People start feeling better moments after a Reiki practitioner places hands lightly and mindfully on their head or torso. If you’ve received a cancer diagnosis, you know how challenging it can be to simply feel better. Feeling better can be subtle but it’s unmistakable; you know when you feel even a little better. Some people describe it as feeling lighter; others feel heavier or more grounded. The details of feeling better are different for different people, but no matter how you describe it — centered, calmer, relaxed, balanced, etc. — feeling better means your body’s ability to self-heal is stepping up. That’s a good thing any time, and especially when facing a serious diagnosis such as cancer. If you’ve been given a cancer diagnosis, you’ve seen that it changes your life in more ways than you anticipated. And in more ways than your oncologist can help you with. Conventional cancer treatment addresses the disease, and remarkable strides have been made in cancer treatment during the decades I’ve collaborated in mainstream medicine as a lay Reiki professional. But enlightened cancer care doesn’t stop with medical treatment; you need more support as you go through often arduous cancer protocols. Feeling better can even mean you’re able to complete your treatment protocols in optimal timing because your self-healing mechanisms are optimized, your body recovers faster. Feeling better means less stress hormones in your blood stream, which can just what you need to tip the scales in your favor. Your need for support doesn’t stop when your medical treatment ends. Once you’ve completed your treatment, you might find yourself unexpectedly on the precipice of a psychospiritual abyss, as you face a future laced with uncertainty and fear of recurrence. Again, Reiki practice can provide the subtle spiritual support that helps you feel better and heal better. When you feel better, besides a palpable sense of relief and steadiness, you start to function better, and you make better, more health-promoting choices. You can receive Reiki treatment from a professional or from a friend who is Reiki-trained. Ask if Reiki treatment is offered at your cancer center. 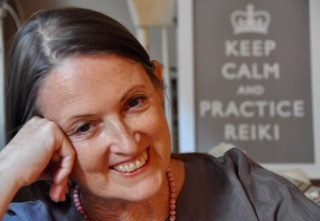 Some centers offer Reiki very publicly; others wait for the patient to ask. But as lovely as it is to receive Reiki treatment from someone else (I share treatment weekly with friends), you don’t have to depend on others for Reiki treatment. Learn to practice Reiki for yourself and you’ll never again be alone and helpless with your pain and anxiety. PLEASE NOTE: Choose your class carefully (here are some tips what to look for). There are no standards for Reiki training. Many classes don’t include enough practice experience so you leave the class confident enough to keep practicing. 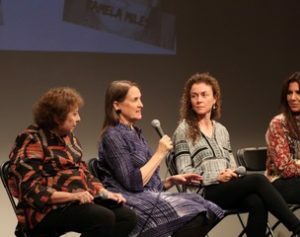 Participating in events such as the Cancer Wellness Expo and the JCC Spa Day for Women with Cancer provide invaluable social and informational support to people addressing cancer. Simply being in the community of other cancer fighters and thrivers is deeply nourishing. Truly. People with social support heal better. Who understands better what you’re experiencing than others who are going through it themselves? You’ll experience a sense of being seen and known that you can’t find anywhere else. Plus you’ll discover effective, innovative cancer supports at cancer wellness events, practices and products that don’t yet have mainstream visibility, and maybe never will. Many useful products are made by small companies started by other cancer thrivers. Small companies can’t compete with corporate giants for visibility. Similarly, many valuable services are offered by individuals rather than corporate entities with big marketing budgets. Reiki practice is a good example. Most Reiki professionals are independent, not affiliated with any health center. A number of prestigious cancer treatment centers such as Memorial Sloan Kettering, Dana Farber/Harvard, M.D. Anderson, and Penn Medicine’s Abramson Cancer Center have offered Reiki treatment to patients, some of them for years. Nonetheless, Reiki practice is not well known, not by the mainstream public and not in mainstream medicine. And some people who have heard of Reiki are uncomfortable with the presentation. The public doesn’t realize Reiki practice isn’t New Age. I’ve worked for years to change that. 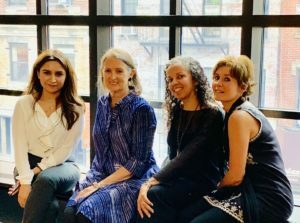 As a lay Reiki master, I was part of a team that set up the first-ever hospital Reiki program at Beth Israel Medical Center in the mid 1990s, and I went on to create many hospital programs after that. For more than a decade, I’ve offered my Reiki & Medicine Intensive to train Reiki professionals how to bring Reiki practice into mainstream medicine. We will reduce so much suffering when more doctors and nurses, and the mainstream public, know about Reiki practice. You can help by sharing how Reiki treatment supports you with your friends and your doctors. Please don’t do anything you feel might negatively impact your relationship with your medical team. You are your first priority. Don’t waste precious time with your doctor trying to make a point you know won’t land. Save your vitality for your healing. That said, oncologists are increasingly open-minded about what helps support their patients. You know your doctor. If it’s comfortable, perhaps when your oncologist comments on how well you’re doing, you might hand her my peer-reviewed medical paper Reiki Support for Cancer Patients. Another medical paper of interest is the study we did at Yale in which a 20-minute Reiki treatment improved heart rate variability (HRV) as much as beta-blockers. Your body heals more effectively when your HRV improves. Peer-reviewed medical papers help doctors because they are written to high medical standards. Peer-reviewed medical papers communicate what doctors who practice evidence-based medicine need to know, in language that is meaningful to them. Success in any field starts with effective communication. People need to know in very practical terms how Reiki treatment can help. But you didn’t learn how to effectively communicate Reiki practice in medicine or to the mainstream public in your Reiki training. No one does. 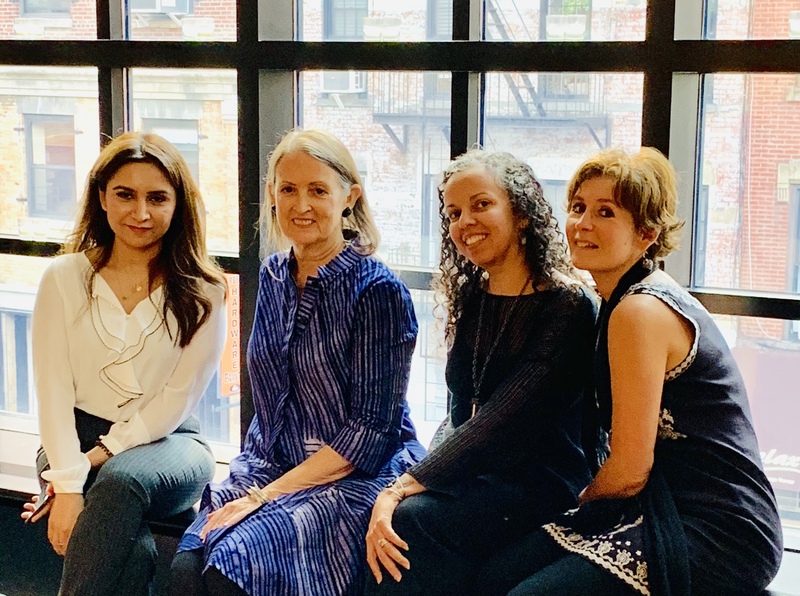 Some of the women who organized the Cancer Wellness Expo had experienced the benefits of Reiki practice while they were undergoing cancer treatment. They approached me to bring Reiki practice to their event. That meant we didn’t have to “sell it.” If you think that sounds crass and commercial, please think about this: event organizers need to know the value Reiki treatment will bring their attendees. If you can’t communicate that value, your collaboration won’t get very far. You’re not alone. Most Reiki professionals need help communicating about Reiki practice to the mainstream public and to medical professionals. Please don’t fault yourself, but if you want to help more people, take the time to improve your communication skills. Whether you’re a Reiki newbie or a seasoned Reiki professional, I have tons of resources to help you improve your Reiki communication. Read What Is Medical Reiki Really and the other 120+ Communicating Reiki articles on my blog (totally free) and watch the (also totally free) What Is Medical Reiki training. If you’re in a hurry, purchase my 4 Step Balance System for More Reiki Clients (the more clients you have, the more people you help) and/or the Intro to Medical Reiki recorded trainings. Or attend my in-person Reiki & Medicine Intensive. Making your Reiki & cancer wellness event a success! There were many reasons why the Reiki room at the Cancer Wellness Expo was such a success. Here are a few things to keep in mind for your event. The location of our Reiki room at the Cancer Wellness Expo was perfect, accessible yet a little separate from the presentations and exhibitors. Don’t assume people will sign up on their own. Many people don’t know about Reiki; others have heard of it in ways that made them uncomfortable. Reach out to attendees in whatever way fits the event. One Reiki practitioner arrived early and stationed herself near the door. 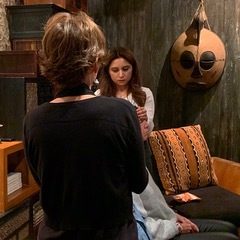 As attendees arrived, she invited them to sign up for “a deeply relaxing experience.” She didn’t hide that it was a Reiki treatment but she just didn’t lead with the word Reiki. That strategy worked; we booked every treatment slot. Make a schedule that supports both the attendees and the Reiki practitioners. To do that, you need to be clear what you are offering and how to best support the event’s goals. For example, we offer full table treatments at the JCC Spa Day. We designed the event to be a sweet cocoon of pampering and gentle education for women in active cancer treatment. The Cancer Wellness Expo, however, is a very different environment, a busier schedule with many talks. We scheduled people for chair treatments every 20 minutes. That left enough time to welcome the clients, give them 10 minutes of hands-on practice, and let them sit a few minutes before returning to the main event. And the practitioners had time to stretch and get water between clients. We scheduled additional breaks for the practitioners during the 3-hour afternoon session. No matter the flavor of the event, it is vital that each practitioner is present with each client and allows the client ample space to have her own experience. This is not the time for Reiki propaganda. Nor should you give a psychic reading or impose your interpretations of a client’s experience. Respect boundaries and honor the peacefulness of the client’s post-treatment state by staying quiet. Even if you are paid, public events are community service; they are not the time to go deep with an individual client. Rather, you are creating a setting in which each client can have her own Reiki experience. Stay aligned with the goal and ambience of any particular event, while being true to the practice. I’ve organized Reiki rooms in various settings, including Google and Unilever. If you let it, your Reiki room will have a heartfelt warmth to it even in a corporate event. 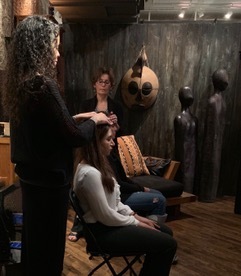 The Reiki Professional Academy includes various recorded trainings for Reiki professionals, including 7 Steps to Successful Public Reiki Events. Are you ready to step out in front of your community and bring Reiki treatment to people where they are? The Reiki Public Events training gives the structure and refinements needed to make your first public Reiki event successful. 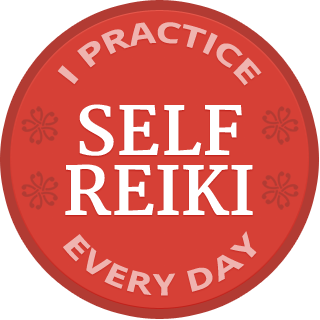 Please remember, nothing supports your professional practice like daily self Reiki. Daily self practice is your most valuable teacher, and it is through daily self care that we Reiki practitioners can embody the change we are trying to create in the world. Sign up here for 30 days of free, short daily emails to support your daily self care. Join my email list to get more quality Reiki information delivered to your inbox. Every email I send has an immediate unsubscribe button at the bottom. Please know I value our relationship and will never share your contact with anyone.